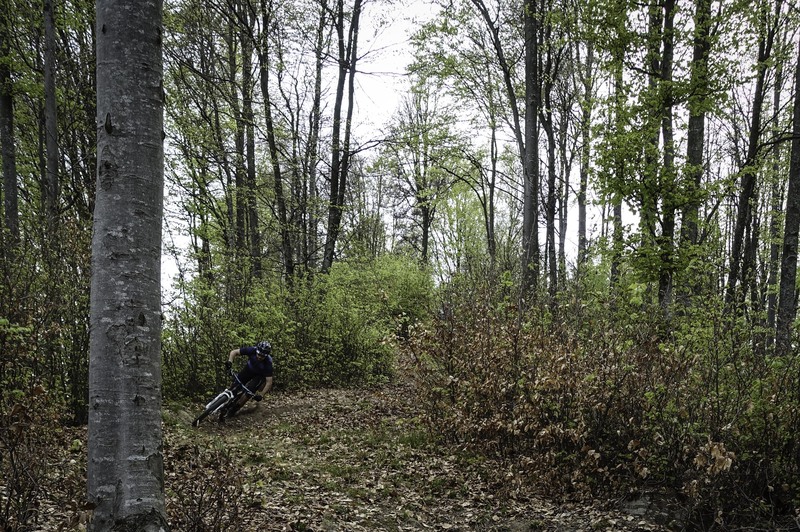 This year we swapped the EuroBikeTrip for an EnduroBikeTrip and the destination to conquer was Finale Ligure, Italy. 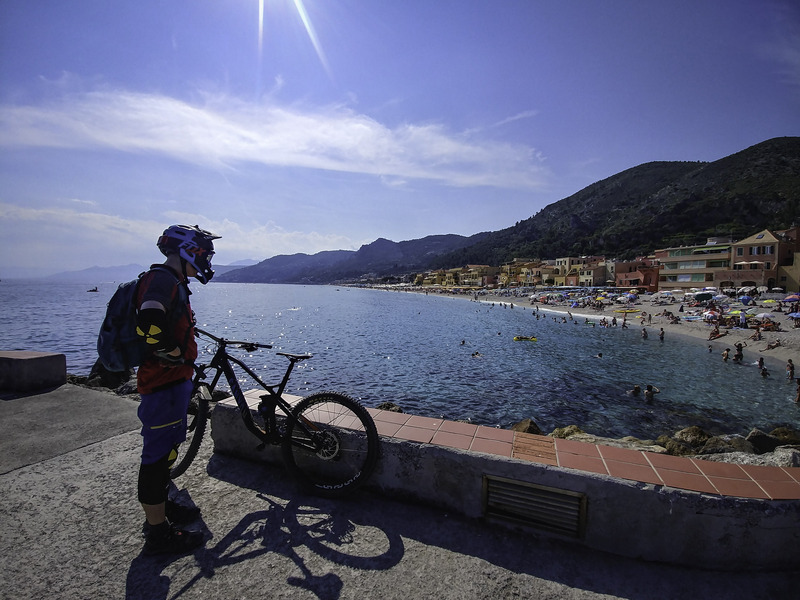 Known for its white sand beaches and its views, but more important for its infinite trail possibilities, Finale Ligure is located near the Rock of Caprazoppa, a steep limestone mountain on the southwest, and much of the town extends up hill slopes. We find out about Finale from EWS, the enduro world series and after some quick search and some quality content that is out there, it wasn’t too hard to chose this year Eurobiketrip destination :D.
It’s flat out mtb trails are starting way up high in the mountains above Finale Ligure at around 1200m elevation and descending all the way down to the Ligurian Sea. There are endless possibilities to descent (over exaggerating here but you wont be dissapointed), and the terrain is changing with the same speed that you are descending with :D.
In the upper part of the trails, where the shuttle lets you off, you have more grippy trails, with lots of berms and a bit more handmade work put into them. There you have the best of flow and you can carry speed on each corner. As you go down the terrain changes and also the vegetation so you have more rocky terrain, with sharper and more loose ground, a bit more natural and technical. In less words, you have it all, maybe not much mud but who wants that :))). And also you get lots of sun in this period so I wont call it the best period for riding those trails but if you want to combine a nice sea and beach vacation with a bit of awesome trail riding, this is the perfect location and time. If you only are interested in riding, you can go there in the off season, it will be cooler and you can do some nice climbs if you want. We tried first 2 days to do the trails on our own power but the heath killed us so starting with day 3 we took some shuttles up the mountain. We did around 4-5 different trails per day and only in last day we repeat some of the trails we liked most. 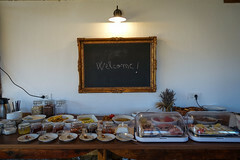 We stayed there 6 days and spend another 2 on the road. We traveld by car, a group of four people from Romania to Finale Ligure and back. Its over 4000km trip and a bit hard to do it in one piece without an intermediate stop. Next time if we go back there by car I think we will make a stop in Sloveia to visit some bike trails there. We initially wanted to go also to Sospel, France, which is 1.5h drive from Finale, and is another trail and enduro bike paradise but after we’ve seen what it’s in Finale, we decided too remain here and ride more trails, and do another dedicated trip to Sospel in the future. 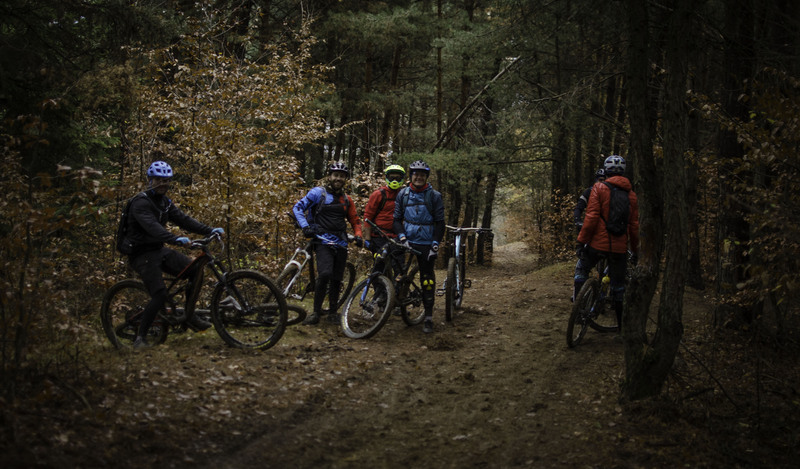 In terms of riding, we probably ridden around 200 km of trails :D, but that is not even half of the amount of trail you will find there, so if you have second thoughts, we hope this argument killed them :))). 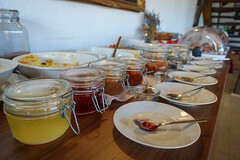 So much for the details and talk, we leave you bellow some evidences, video and photos so you could convince yourself. We will definitely go back there some day! For tracks and trails, just look up Trail forks by region Finale Ligure and you will find everything you need. For shuttle, just ask around Finale, there are lots of shuttle services all having the same prices ;). This entry was posted in 1. Bicicleta, 2. Drumetie, 4. Dor de duca, 5. Foto, 6. Evenimente, 7. Utile, 8. Diverse and tagged bike riding, Crestino, DH men, downhill, enduro, enduro MTB, EnduroBikeTrip, Eurobiketrip, Finale Ligure, France, Iginerere, Italy, Maria della guardia, mountain biking, Nato base, Rollercoaster, Sentiero H, Sospel, Toboga, Trail Forks, trail riding, travel, vacation, vertical riding, vrr on July 20, 2018 by Bogdan Vlad. This is a quick post about Postavaru trails near Brasov City, Romania :D.
Brașov is located in the central part of the country, about 166 kilometres (103 miles) north of Bucharest and 380 kilometres (236 miles) from the Black Sea. It is surrounded by the Southern Carpathians and is part of the Transylvania region. The city is notable for being an important centre of Transylvanian Saxons in the past, and a large commercial hub on the trade roads between East and West. (Source: Wikipedia). Also for us, Brasov is important because of its potential in mountain bike and ski activities. 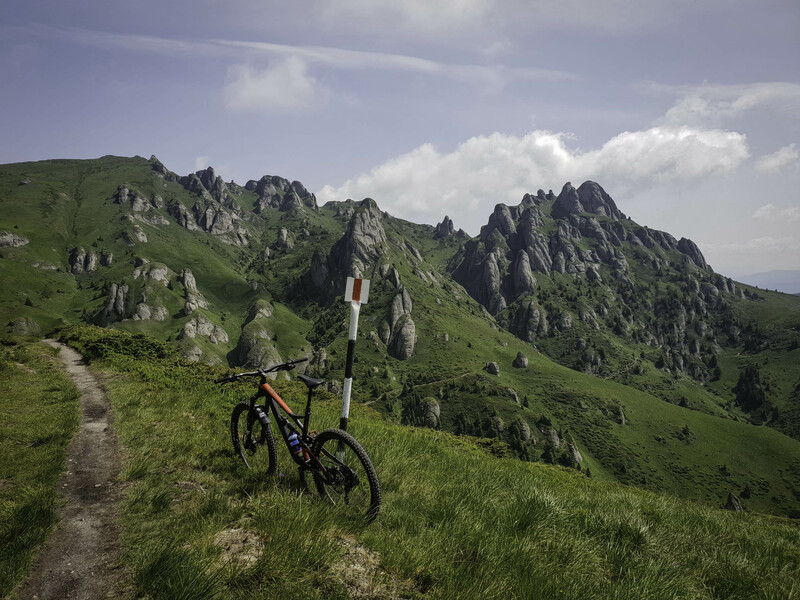 Near Brasov is Postavaru massive, an almost 1800m height mountain with some awesome trails just waiting to bi ridden. Also, Brasov is a beautiful chill city, with an nice old city full of activity and beautiful people. In order to ride there you have to get yourself and you’re bike up to Poiana Brasov, which is a bit higher positioned then Brasov. To get there you have to bike there (around 45min-1h by bike) or take a shuttle bus from the city center. For this check out NH Bike guys witch offer professional shuttle services there, taking riders every each hour from Brasov to Poiana Brasov. From poiana Brasov are like 4 trails that get down to Brasov, but also from there you can take a cabin up to the peak of Postavaru mountain and from there you have a beautiful over 1200m descent to town witch we really recomand. Also you can take a break at Postavaru mountain Hut and enjoy the view and the bear there :D… oh, and the cookies :))). Without further ado, we leave you some tracks with 2 of the trails there, and also a movie to better comprehend the fun you will face on Postavaru Trils :))). Trail tracks: descent from Postavaru peak, descent from Poiana Brasov on yellow triangle mark trail. Enjoy and ride safe! This is a short video edit and some pictures from this weekend, shredding the trails @ Ciocanu MTB Trails, Bughea de jos, Arges. Beautiful sunny day, with dry lose trails. Perfect for skidding around in every corner. You can find 2 of the tracks here, and here :D. Enjoy and ride safe!